Against that continuing adagio of summertimes and local arts much bemoaned here and here, performers seem to have tiptoed en pointe onto the silver screen at an unusual scale for the past few months. In the area of symphonic music, we have received two fine hybrids of Russian and French cinema, Coco Chanel and Igor Stravinsky and Le concert, the latter of which will be the subject of a forthcoming post (shorter) at DC Arts Beat. More timely, though, is this weekend's wide release of the film Mao's Last Dancer, lending an opportunity to look broadly at the subject of Ballet on Film. To begin with, certainly you can find already a substantial body of work that strains, almost patronizingly, to propose that balletic brilliance is a spiritual matter knowing no boundaries, inviting the fundamentally marketable opportunity to juxtapose classical ballet with hip-hop beats and urban-plight dramas with all the grace and charm of those motivational assemblies that were mandatory in high school. (Center Stage, Save the Last Dance, Step Up, Billy Elliot...) A long, unfortunate string of filmmakers have found endless inspiration from the notion that classical ballet (which includes contemporary ballet in the classical tradition of through-choreography) is a judgmental barrier designed to shut out a demographic that is not the blanched Aryan ideal, skinny and privileged. This is, of course, nonsense. Ballet is an art form that has carefully evolved from fundamental principles and a choreographic vocabulary over centuries. It is passing strange for any ego, of any culture, roused by any emotion, to appropriate the form without paying deep respect to its esthetic rooted in a history that generally corresponds to the Caucasian archetype. Mao's Last Dancer is based on the same-named autobiography of Li Cunxin, whose talent was cultivated by Communist China and lent to the United States on a cultural exchange, leading to his defection and fight for freedom. Central to the film (before you get to the sentimental tacks) is the arrogance of China's Cultural Revolution, and the struggle of Cunxin's wisest teacher to sustain balletic tradition inside that oppressive environment. Chairman Mao's wife (similarly parodied in a ballet-within-an opera from John Adams' masterpiece Nixon In China, being revived next year at the Met) demands that her state-run troupe evolve the medium into something with "more rifles," evoking the military might of her regime. With some irony, it is in this section of the film that you see the most innovative choreography: Graeme Murphy, Sydney Dance Company's lasting legend as Artistic Director, takes to the task of choreographing this film with fresh invention. We are not meant to applaud the ballet-within-the-film that delights Madame Mao, for all its harsh and abrupt concision, but it is an amazing sequence anyway. Inside the plot, though, this trend agonizes Cunxin's teacher to such an extent that he is exiled (perhaps to somewhere like the Soviet Gulag). As a parting gift to his most promising pupil, he sneaks a videocassette of Baryshnikov to young Cunxin, who marvels at the Russian master's perfection and discovers his impetus to excel at the craft. For most of the film, Australian Bruce Beresford helms with a remarkable sensitivity to ballet's seriousness, which is far away from any commonplace Saturday instinct to dance the night away (itself, a recreation more like imbibing than any creative act). Mao's Last Dancer certainly is the kind of studio picture that you approach fully expecting a pageant of Nutcrackers, Swans, Giselles and maybe even the stuff of those aforementioned pop-art pix. Beresford delivers something else, ranging from Christopher Gordon's often chromatically rich musical score, to the modernist choice of Stravinsky's carnal Le sacre du printemps as a contrasting underscore to the film's already heavy sentimental resolution. (Rather like that last match-up you expect at the end of a sports drama, yes indeed, Cunxin gets to perform for his long-lost parents and, right on cue, the audience wells up in tears. I certainly did.) Notwithstanding, the film's overall restraint becomes so much stranger when the film's final note is a silly homecoming scene of impromptu dance in the ancestral village, to ridiculously sappy EZ-listening music and that most egregious of cinematographic techniques: slow to freeze-frame, fade-to-black. Moreover, the film's human drama commits that other timeless sin of biography: Details are utterly rushed through, so that the dissolution of Cunxin's first marriage (so charmingly developed in the narrative) is reduced to a single melodramatic scene that appropriates simplistic ideals of feminism and artistic passion. (Literally, Cunxin one day gets pissed because the house is unkempt, his wife says she can't go on living a lie because she really wants to dance; the camera cuts away to her loaded-up car, and she drives away forever. And: Scene!) From what I understand of it so far, Life is not quite so tidy. But the overall strength of Mao's Last Dancer is its authenticity to the art. Beresford has cast real dancers, including the Birmingham Royal Ballet's principal dancer Chi Cao for the title role. And against the weakness of all those other contemporary films about ballet, Beresford trains his lens on process and technique more than spectacle, leaving proper respect to the incredible stamina and humility that ballet dancers practice day-to-day. 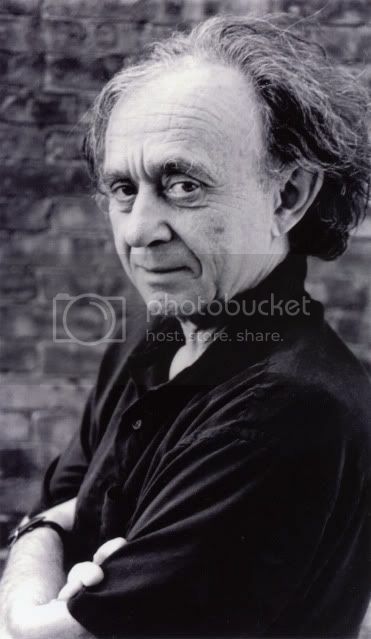 With that same humility as an audience, we can peek even closer into this reality through the recent documentary film La danse of Frederick Wiseman, whose life's work was honored at this year's Guggenheim Symposium of SILVERDOCS at the American Film Institute in Silver Spring. La danse: Le ballet de l'Opéra de Paris is no exception to Wiseman's uniquely raw style, not quite vérité in its pretensions because its truthfulness is not stylistic; it just is. At the symposium, we were treated to a film reel from Wiseman's body of work, including relentless long sequences of heavy breathing from a terminally ill patient, and a single tracking shot of a blind boy walking through the corridors of a school. The symposium was moderated by Davis Guggenheim, made famous from winning the Best Documentary Oscar for pointing a camera at Al Gore's PowerPoint presentation on climate change. (Charles Guggenheim, for whom the symposium is named, was his daddy.) Mr. Guggenheim, Jr. moderated a discussion with Wiseman after the film reel, in among the most awkward interactions I've ever seen, putting on full display the opposite ends of theory in documentary filmmaking. Wiseman was utterly spare in his description of process, even blighting the staged gimmicks of Michael Moore (against the collective gasps of the filmmaker community in attendance). For me, frosh into this field, Wiseman revealed something fundamentally timeless about the medium: that the highest good in documentary films is for the subjects, in action, to speak for themselves -- that with interviews and agendas in play, things can only get worse, or for that matter, less truthful. La danse is no exception to this principle (improving upon his 1995 film Ballet focused on the American Ballet Theatre). Wiseman received unfettered access to the Palais Garnier (regarded to this day as the "Paris Opera," but mostly ballet's domain after opera productions moved to L'Opéra Bastille, Andrew-Lloyd-Webber-be-damned whose Phantom disco epic will play the Palais when hell freezes over). Indeed, the building is as much a character as the ballet -- the audience gets to play church mouse in all its recesses. However, Wiseman shows remarkable restraint for this rare access. In fact, the impression left by La danse is that it does little to advance to the art of documentary film, no less the career of Frederick Wiseman. The experience is to watch almost three hours of long, lingering, single-camera setups trained on training (interspersed with plain vanilla cutaways to Paris traffic). Slowly but surely, though, the case is made that this troupe and its Palais are protecting something of such value that it defies explanation as surely as it functions in isolation. Perhaps most revealing are the silent scenes of costume shop artisans, who are hand-stitching unrepeatable patterns for single productions as if industrial machines and assembly lines were not yet invented. This is not the world we live in. It makes much more sense to seek out faster, cheaper, easier ways to satiate the mean average of audiences according to an estimation of what they may notice. Another subtly important scene: Artistic Director Brigitte Lefèvre meets with her staff to discuss the fund-raising obligation to give donors of €25,000 or more the up-close experience of sitting in on a rehearsal in the sanctimonious upper room of the Palais Garnier that is the space where we see most of the film's rehearsal footage. Lefèvre agonizes over this, even if the donors are a mere dozen or two, and a compromise is reached to preserve the rehearsal's integrity. The implications from Wiseman's simple account of this routine administrative meeting are profound: not only do we perceive a fierce protection of process from the troupe's chief steward, but we ourselves are reminded of the privilege accorded from this medium: In the simplest of terms, it costs us nowhere near €25,000 to look in on a rehearsal of among the most important ballet companies in history -- even so, we get to see more than those wealthy benefactors. This privilege is the very soul of documentary films. Far from that vitality, though, Ballet on Film has a history too in the realm of fantasy and melodrama (leaving out of our minds the aforementioned pop-art mash-ups). The Red Shoes of Michael Powell and Emeric Pressburger ("The Archers") is the world's most lasting, most adored, most cited movie about ballet without a doubt. The ballet-within-the-film (rather like The Archers' The Tales of Hoffmann ) is based upon the same-named Hans Christian Andersen fairy tale, but its surrounding melodrama amounts to less than the movie's proclaimed theme of artistic obsession, and more a kind of immersive celebration of Technicolor and production design dating to the earliest days of cinema. It has always held the highest affection from Martin Scorsese (certainly my favorite auteur, with odd choices like this to call his favorite films), who recently spearheaded an aggressive restoration and Blu-Ray release last month, which looks stunning (and surely better than any original theatrical print). Rounding up this round-up, there is one last piece somewhere between biography (Mao's Last Dancer), documentary (La danse) and fiction (The Red Shoes) that might, and certainly should, always be regarded as the finest film ever about ballet. Robert Altman's The Company is true to his idiomatic approach that incorporates storytelling with the documentarian's instinct to point a camera at something and let it do what it will. In this case, it is the real Joffrey Ballet of Chicago, with a few trained actors mixed in (one of which, Neve Campbell, actually has a background in classical ballet), and the reliably creepy Malcolm McDowell (his eyes?) as its artistic director. In tune with Altman's whole oeuvre, it is largely non-linear, hardly scripted, and not really about anything at all. But the atmosphere of The Company and its company befits Altman's style perhaps better than anything else he gave us. True to form, Altman even allows a guest choreographer's vision to play out unto the film's juvenile climax involving some sort of fire-breathing dragon setpiece (not much stupider than Francesca Zambello's Fafner-Transformer/dragon-bot in her ridiculous, expensive staging of Siegfried last year that is this season headed to San Francisco for more laughs). By taking us through the goofy finale with such seriousness, Altman pulls a trick for which he is well known: He allows his characters to undermine themselves in ways that bespeak fundamental conflicts; here, the division between commerce and art, crowds and autonomous visionaries. But before any of that, The Company is full of truthful tableaux portraying committed dancers living their lives -- a simple beauty to relish, with all the artful attention that narrative cinema affords past the boundaries of biographical and documentary film.